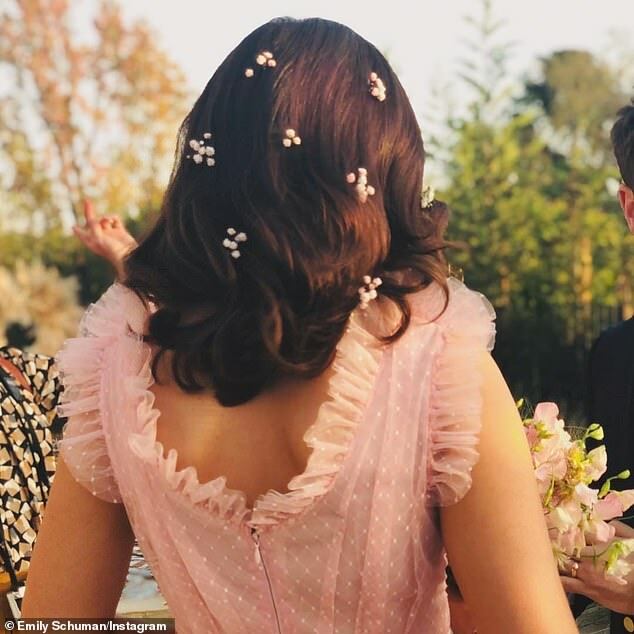 Priyanka Chopra is now Mrs. Nick Jonas! It’s official…Priyanka Chopra is now Mrs. Nick Jonas! an Indian pre-wedding ritual, and was followed by 2 ceremonies– one traditional Hindu wedding and one traditional Christian wedding officiated by Jonas’ father. The Indian beauty stunned at each of her wedding celebrations in her multiple stunning gowns but her custom Ralph Lauren gown with floral embroidery and an exaggerated veil is what will inspire brides-to-be from the west. And when we say exaggerated veil, we mean it was 75 feet long and took 5 people to guide it down the aisle behind her. Lavish doesn’t even begin to describe it. Ralph Lauren added this stunning gown to a very short list of bridal designs. He has only ever designed wedding gowns for his daughter, daughter-in-law, and niece in the past. Priyanka was his first and only celebrity wedding gown, but we have no doubt that after an amazing design like this, he will have celebrity brides banging down his door for more. https://btseventmanagement.com/wp-content/uploads/2018/12/Priyanka.jpg 600 1500 bts-marketing https://btsevents.wpengine.com/wp-content/uploads/2017/12/BTS_Logo_Final-BLK-300x150.png bts-marketing2018-12-20 08:00:112018-12-13 01:47:53Priyanka Chopra is now Mrs. Nick Jonas! 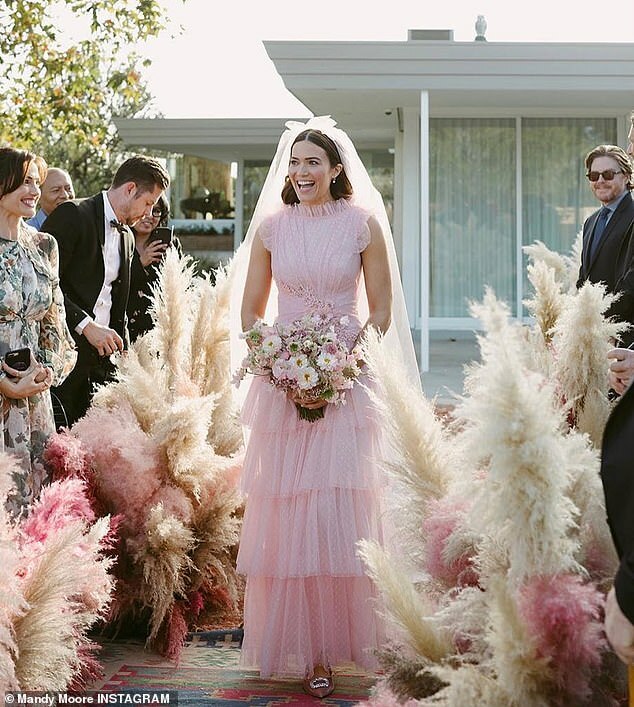 Ladies and Gentleman, Mandy Moore has officially married Dawes musician, Taylor Goldsmith! The private backyard wedding held at Mandy’s home was just as surprising as the amazingly unconventional Rodarte gown she wore. We were blown away by how stunning Mandy looked in her truly unique gown. 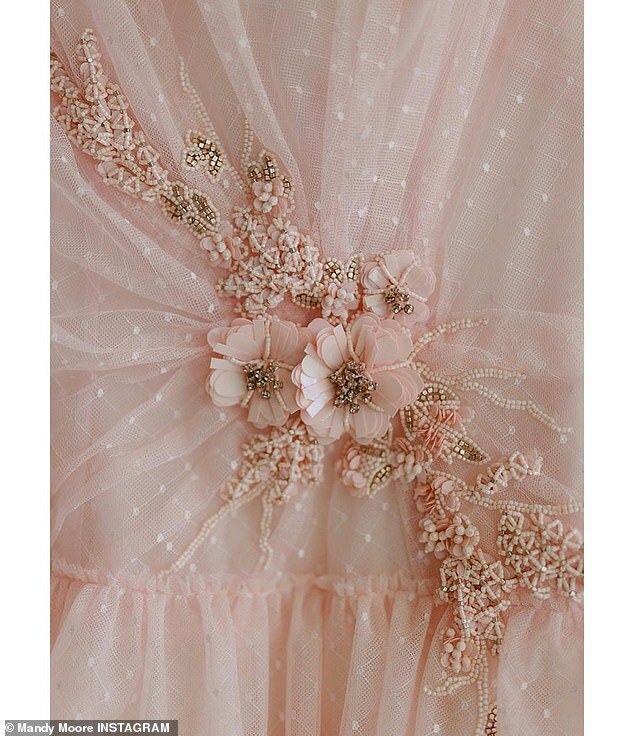 This brings us to the biggest topic: Who says bridal can’t be pink?! Mandy’s choice to go pink rather than blush was so bold and we absolutely loved It. 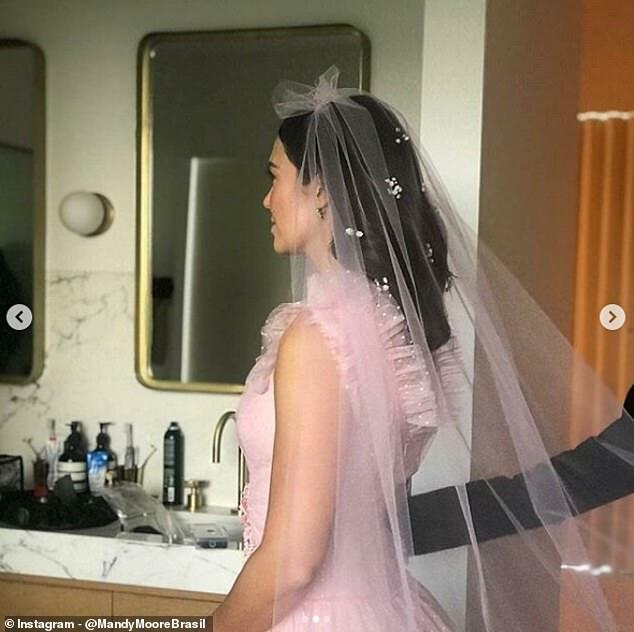 Even her veil was pink! The cut and shape were totally different than any other bridal gown we’ve seen. As if that weren’t enough to get the people talking, the dress was topped off with ruffle and lace details to tie it all together. The groom wore a very tailored and glittering suit with cropped hem pants and loafers. 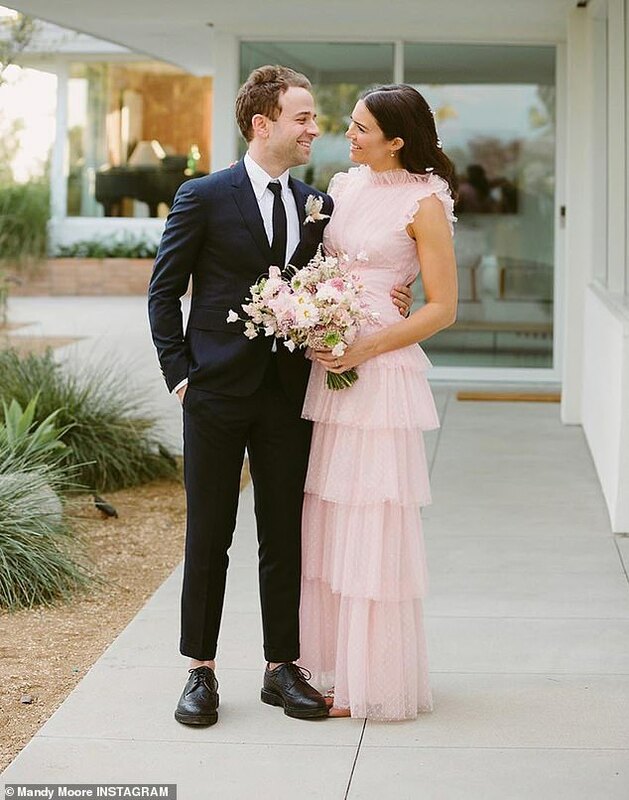 The intimate ceremony featured our current trend obsession: baby’s breath–such a simple and elegant flower that has taken the modern bridal world by storm as of late. 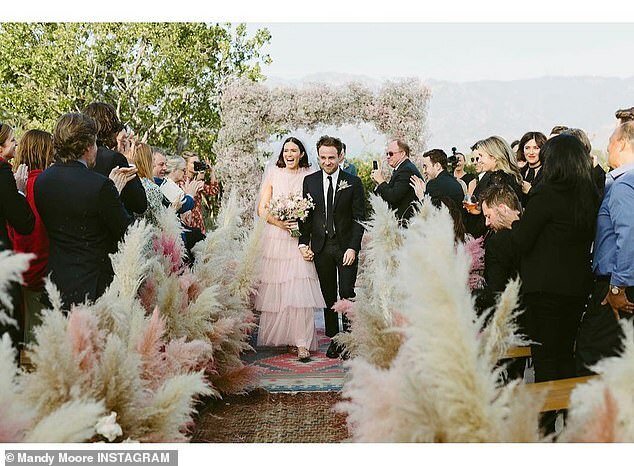 Pompas grass lined the aisles, literally every cutting-edge bridal trend was used in this wedding in the best way ever. One of the only times where you can get a good idea of what the future holds is during Fashion Week. And after this week, we believe the future is telling us that the 90s are continuing into 2018 in the form of neon and classic hair accessories. Just when you thought the days of Fresh Prince, Friends, and Seinfeld are over, the 90s made their way back into our hearts. We’ve recently noticed this trend in all the plaid and neon plastered through TopShop and Zara and, as expected New York Fashion Week reflected these trends as well. 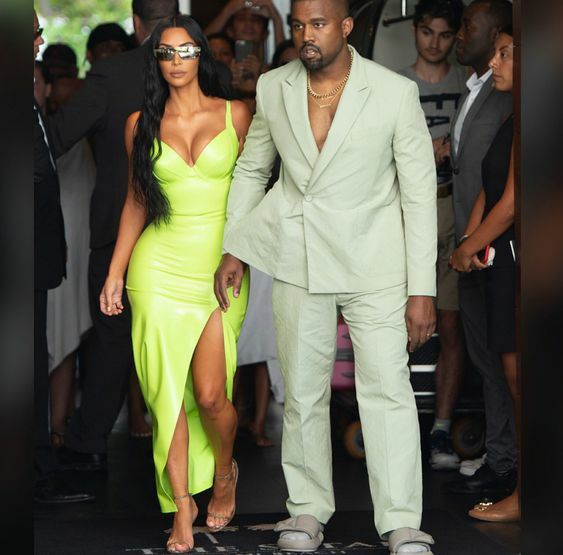 We anticipated that this trend would trickle its way into weddings and right on cue, we see Kim Kardashian West at 2 Chain’s wedding sporting a neon green latex dress. Below we’ve compiled a list of hairstyles we can totally see a bride work on her wedding day as well as dress options for guests. Want to purchase? You can find it here! You can find this scrunchy here! Find Kim K’s statement headband here! Ladies, let us know if you would strut your stuff down the aisle with one of these hairstyles. If you’re going to be a guest at a wedding, let us know which neon dress you can see yourself in. https://btseventmanagement.com/wp-content/uploads/2018/09/Blog-Header-2.png 330 780 bts-marketing https://btsevents.wpengine.com/wp-content/uploads/2017/12/BTS_Logo_Final-BLK-300x150.png bts-marketing2018-09-13 07:00:252018-09-11 18:10:2990s Are Back! If it’s your first time here and you couldn’t already tell, we are fashion obsessed. Especially, bridal fashion. People love to stick to tradition when it comes to weddings–which for the record we’re all for. But if you’re going to push any envelope, let it be the fashion envelope. We love it when our brides push the limit a little bit, have fun and explore the plethora of fashion opportunities there are as it relates to bridal fashion. That being said, we like to highlight designers who are really pushing the envelope in the most beautiful way. Today’s designer feature is J’Aton Couture. 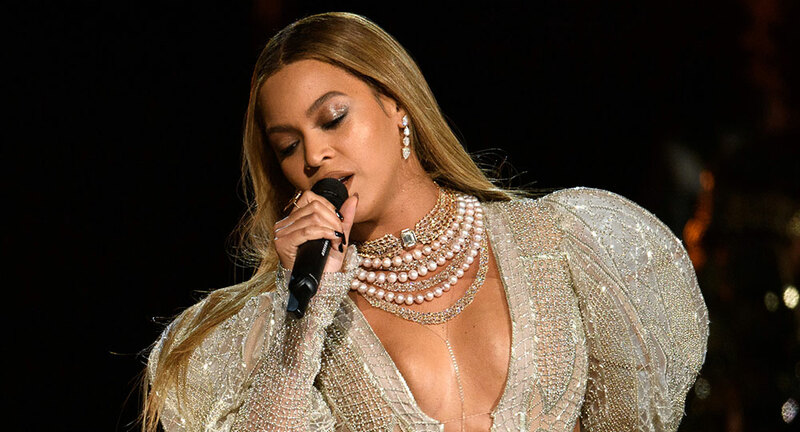 If you’re not a bridal fashion fanatic like us, you may have seen their designs on Beyonce! Now a little bit about J’Aton. J’Aton is the acronym of the Australian designers’, Jacob Luppino and Anthony Pittorino. Both Jacob and Anthony are the masterminds behind this renowned couture house. Each of these designs is made in Italy. How cool is that? These designs are perfect for brides who love silk, tulle, and satin. Some gorgeous aspects we love about these designs are the balloon sleeves, the detail, and the Victorian vibe. Take a look at these gowns and let us know if you’d rock one of these on your wedding day! Veil. What used to be used as a compliment to a dress, is now becoming a statement of its own. 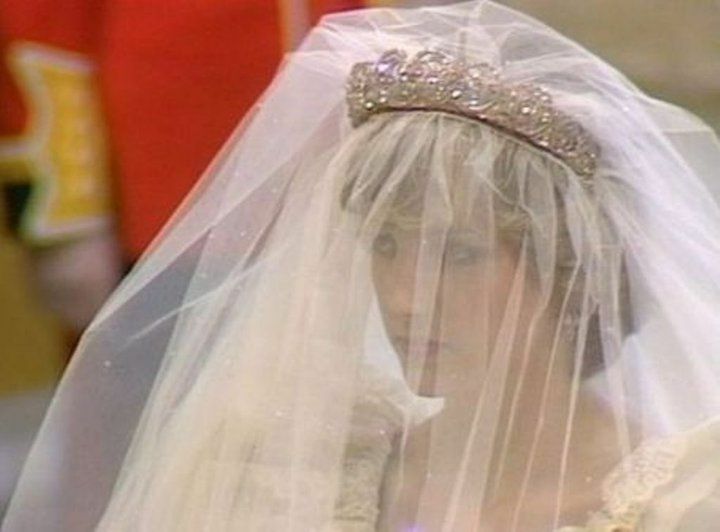 In our opinion, you can thank women like Princess Diana or Kim Kardashian–both whose veil was an absolute statement no one was able to forget. 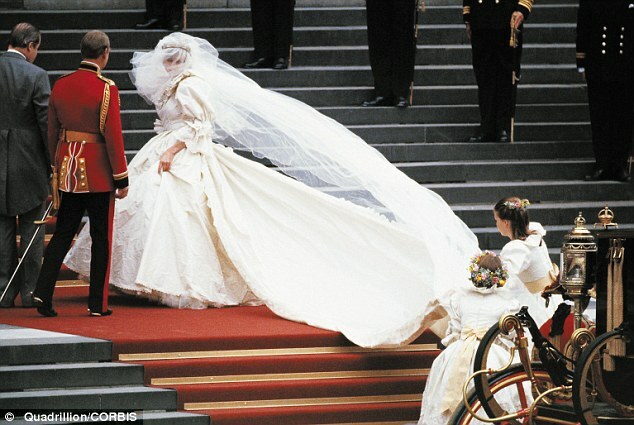 When you think of a veil’s train, you immediately think of Princess Diana. 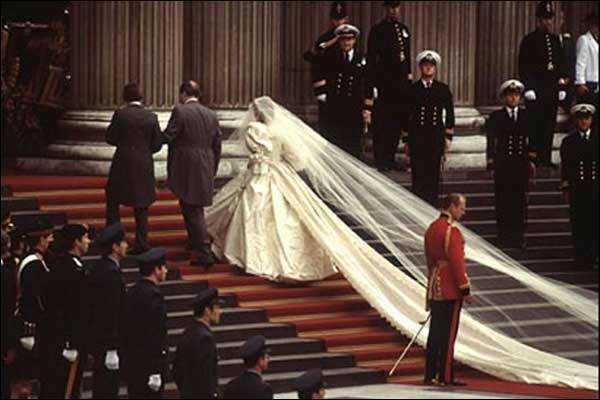 Mostly because the length of her veil’s train was longer than her dress–and her dress was very, very long! The entire veil, held on by her crown, measured at 153 yards long. Kim’s long blusher really just blew us out of the water. We hadn’t seen anything like it. Typically blushers stop at elbow or fingertip length. So this to-the-floor statement was everything we ever wanted! 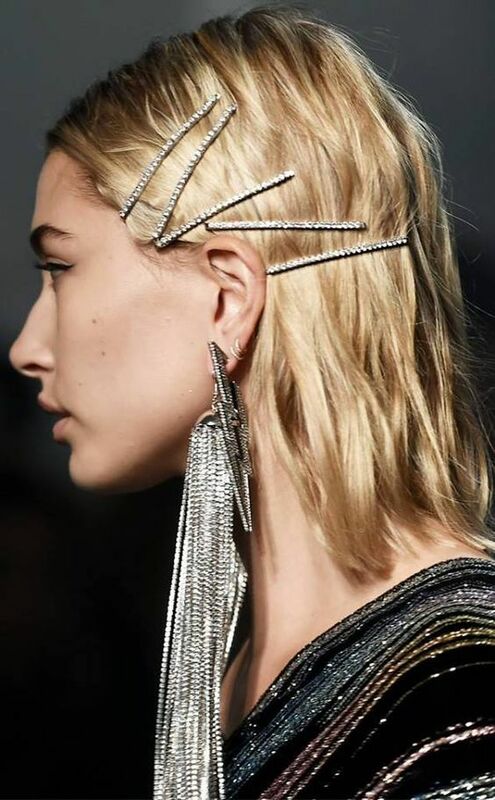 Now that we’ve recapped our thorough obsession with Kim K and Princess D’s statement veils, we’re positive you can tell how excited we are for a trend like this to come around. If you know us, you know we’re all about stepping out of the box and making your wedding day and experience unique to you. With this new wave in veil trends, we’re highlighting a couple of statement veil trends we’re obsessed with right now. Layers. 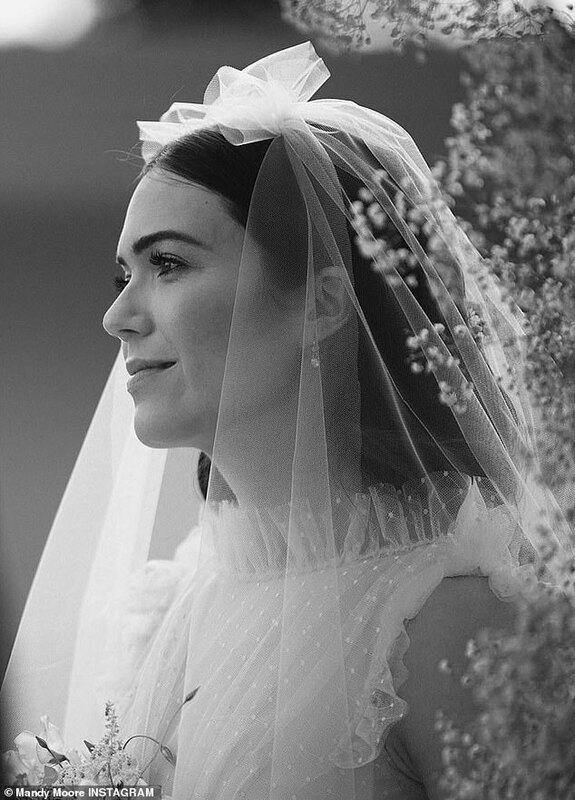 We never thought we’d see the day where there were multiple layers beautifully incorporated into a veil. But the time is now, and we’re so here for it! Check out these veils with layers and let us know what you think. Length, length, and more length. 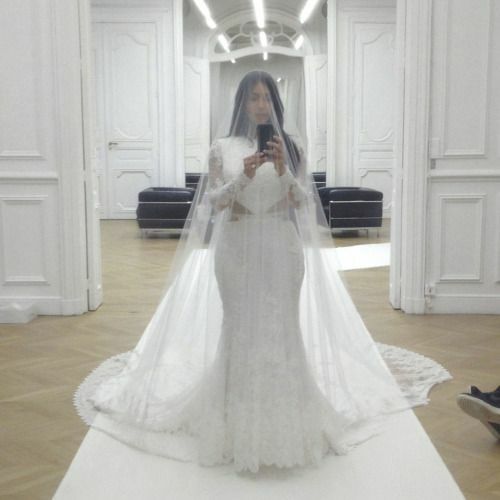 Brides are taking a page from the veil queens (Kim K and Princess D) and we’re not mad at it! No matter if the length is in the blusher or the train, in our opinion, the more length the better. Yes, girl, beading and floral on top of a veil! This trend is probably our favorite out of the bunch. The beautiful placement of these pearls and orchids on these veils is absolutely to die for. Fringe is totally a thing. With this style, you can go from Boho bride to Great Gatsby bride! With the right wedding theme and gown, these veils would be a beautiful addition to the bride’s overall look. Just when you think incorporating fringe into a veil can’t be done, we throw this at you. What are your thoughts on a statement veil? Will you incorporate one into your overall look? Let us know in the comments! 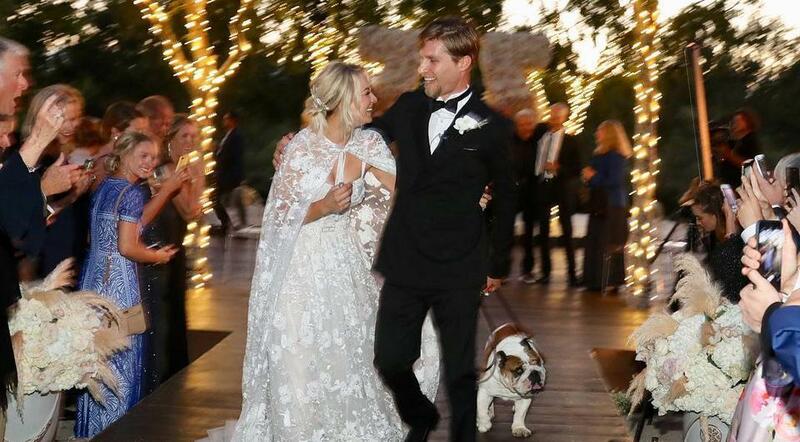 Ladies, today we’re recapping Kaley Cuoco’s wedding, simply because we are unapologetically obsessed! If you’ve scrolled through Instagram and stumbled on her wedding pictures, we’re positive you cannot blame us for being obsessed. Let us be clear, this is not because we’re fangirls. There’s rhyme to our reason, we promise. Below is a list of reasons why we’re absolutely in love. She didn’t have a bouquet. She didn’t have a bouquet. Ok, this is absolutely untraditional, but we’re so here for it! Untraditional is a point we’d like to touch on briefly before we go to the next point of admiration. BE YOU! If you’re not a bouquet kinda gal, then ditch the bouquet! Your wedding day should be 100% about you. Never feel obligated to do a certain thing because everyone else does. Their wedding was at a horse ranch and they included animals. Their wedding was at a horse ranch and they included animals. Though we’re not huge fans of animals, that doesn’t mean we would deter any bride from incorporating them into their wedding. 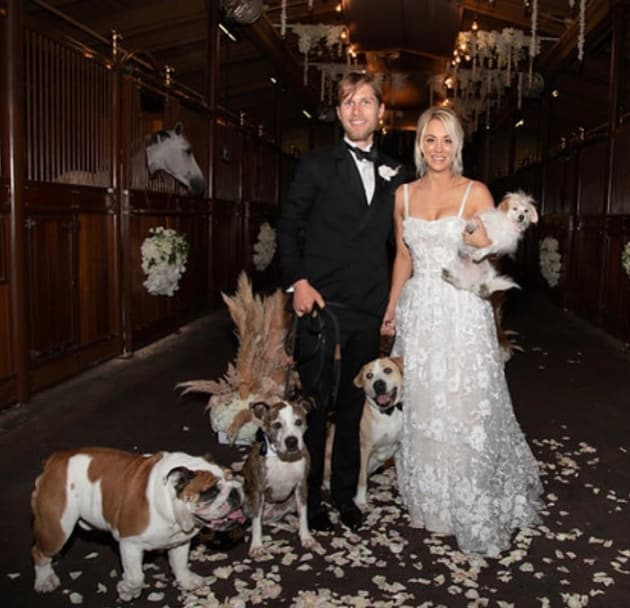 Kaley and her husband did what they loved by incorporating animals and we’re so here for it! Horseshoe ceremony decor. Sticking with the themes of horses. 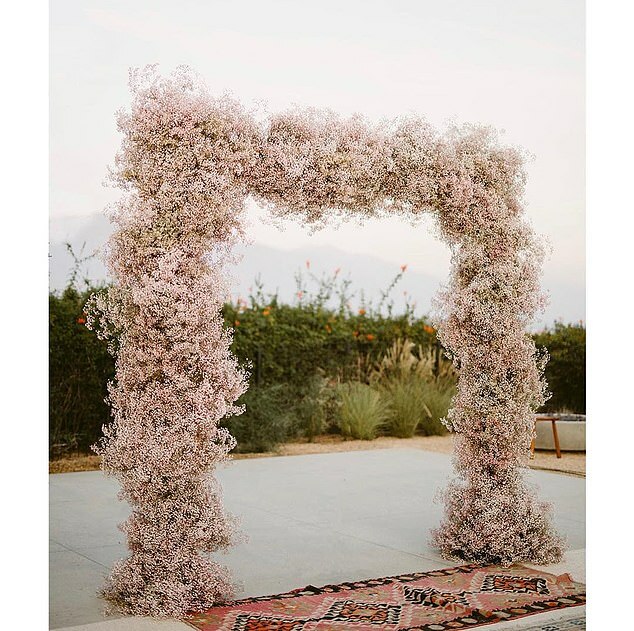 The ceremony decor was pampas grass put beautifully together in the shape of a horseshoe. Um, can you say heart-eye emoji?? We loved this! How beautiful were they! Also, cool piece of information–her sister officiated the wedding. What a cool way to incorporate someone you love. Processional goals. The singer for the processional was I N C R E D I B L E ! Don’t believe us? Take a listen for yourself. You can find more of Gin Wigmore here. It suffices to say, we were blown away by this wedding and we knew you’d be too, which is why we shared it with you. 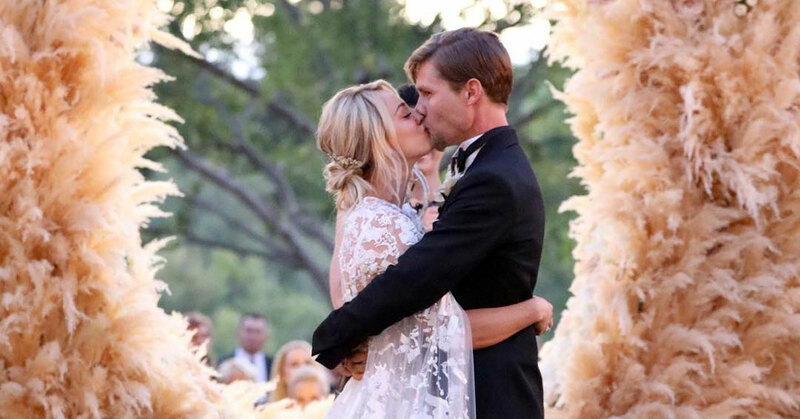 What was your favorite part of Kaley’s wedding and which part would you incorporate into your big day? Let us know in the comments. Could This Be Meghan Markles Wedding Gown? It’s official. The date for the royal wedding of Prince Harry & Meghan Markle has been selected, and it will happen May 19, 2018. That means all the wedding planning has started, and we couldn’t be more excited to follow along! https://btseventmanagement.com/wp-content/uploads/2017/12/copy-of-whats-in-our-cart-blog-gfx2.png 330 780 BTS_admin https://btsevents.wpengine.com/wp-content/uploads/2017/12/BTS_Logo_Final-BLK-300x150.png BTS_admin2017-12-19 19:12:032017-12-27 23:56:33Could This Be Meghan Markles Wedding Gown? 4 Reasons We’re Obsessed With WAGS, Nicole Williams Boudoir Photos! You may be familiar with Nicole Williams from E Network’s show WAGS. Many of us have followed Nicole’s sometimes hopeless journey of her engagement to NFL wide receiver, Larry English. At the end of last season, we saw Nicole finally get engaged and we couldn’t have been happier for her. Just last month Nicole and Larry had their big day and not only was everything about her wedding absolutely GORGEOUS, but we are still obsessing over her picture perfect boudoir photos! https://btseventmanagement.com/wp-content/uploads/2017/06/whats-in-our-cart-blog-gfx.png 330 780 BTS Event Management https://btsevents.wpengine.com/wp-content/uploads/2017/12/BTS_Logo_Final-BLK-300x150.png BTS Event Management2017-06-13 07:00:202017-12-28 00:18:484 Reasons We're Obsessed With WAGS, Nicole Williams Boudoir Photos! Believe it or not summer is quickly coming to an end. I know, we can barely believe it either. No more warm summer nights that smell of fresh rain. No more weekend trips to the beach. It’s a bummer but to be honest were kind of excited about fall and winter. Truth be told, its one of our favorite and busiest seasons for weddings. But before we jump all the way into fall lets take a look at some of our favorite summer celebrity weddings. 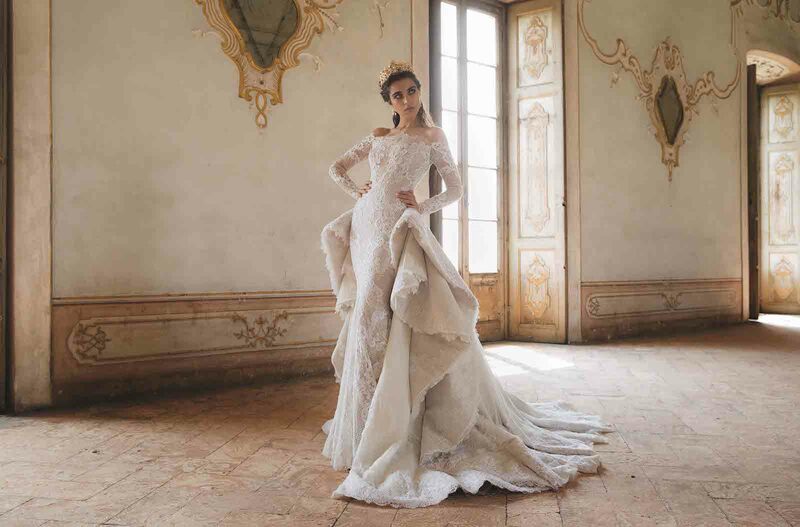 As wedding planners, we have seen our fair share of wedding gowns, from boho to ball gown with everything in between. So, in honor of Throw Back Thursday, we thought we’d share some of our favorite celebrity wedding gowns! Check them out!